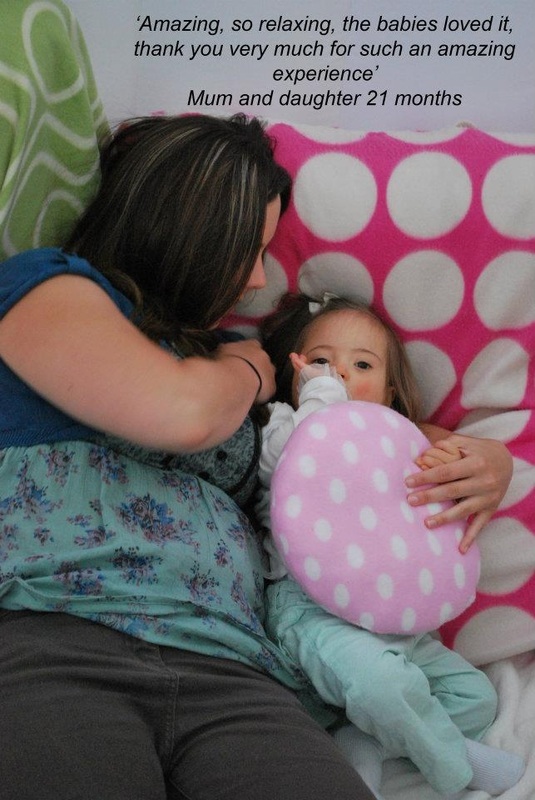 The connections that take place when parent and child are in a chilled state leads to 'happy feelings' of security and love, two vital elements required for healthy development in babies. - a crucial part of healthy child development. 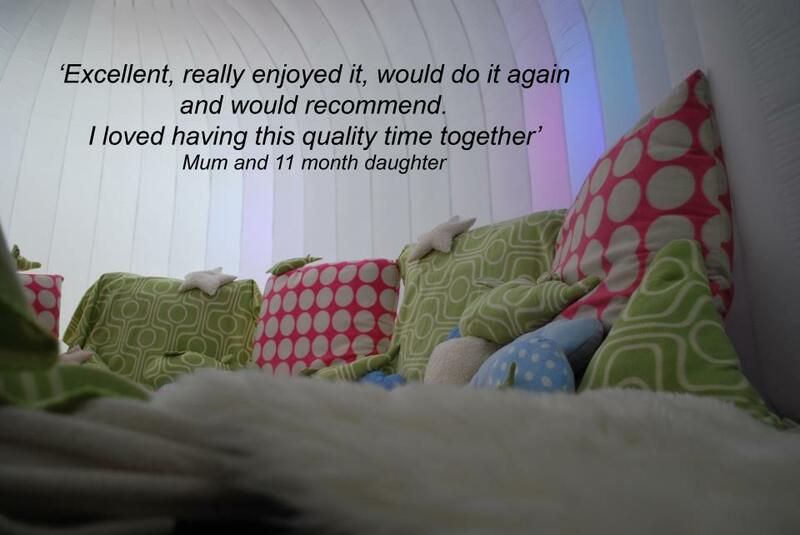 Set within an out of this world inflatable combined with a super soft interior and specially designed music, BabyChill offers a unique and empowering experience for parents and babies. Dr Suzanne Zeedyk, Leading Early Years Scientist and Developmental Psychologist. 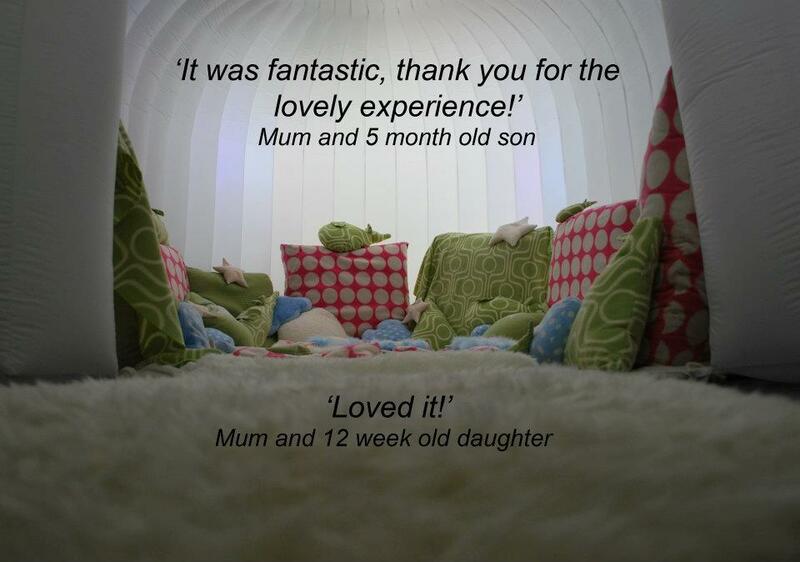 We've never seen anything quite like Babychill, the whole environment offered by Babychill is unique and calming. 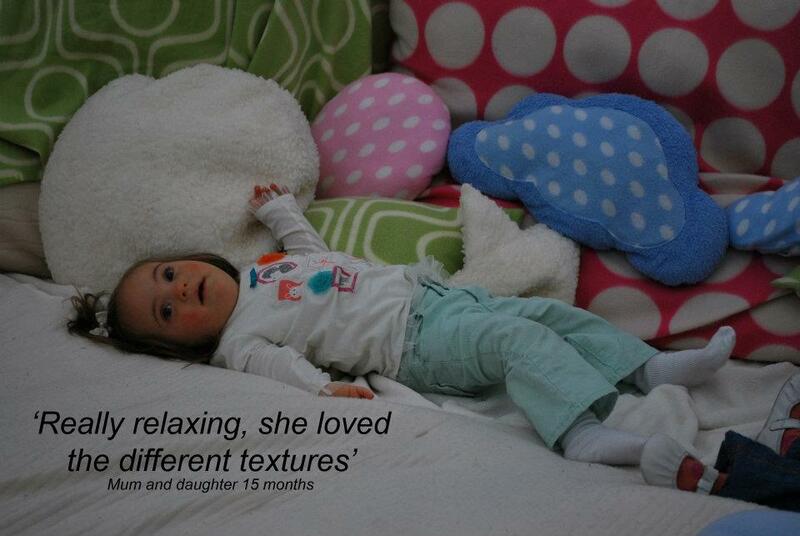 When so much in life can feel busy and fast paced, Babychill allows you to slow down and relax. 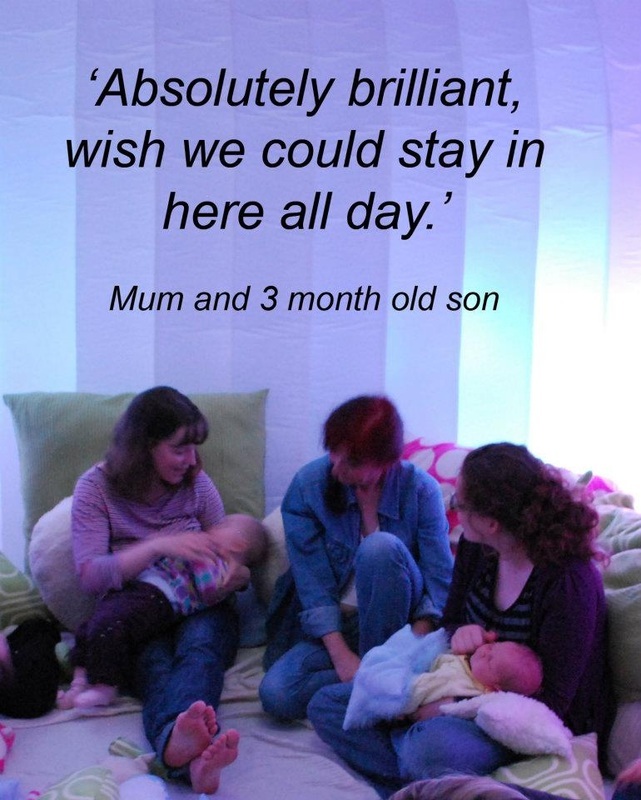 Babychill is a unique experience, everyone who took part in it previously spoke very highly of it. The kids and Dads loved it. 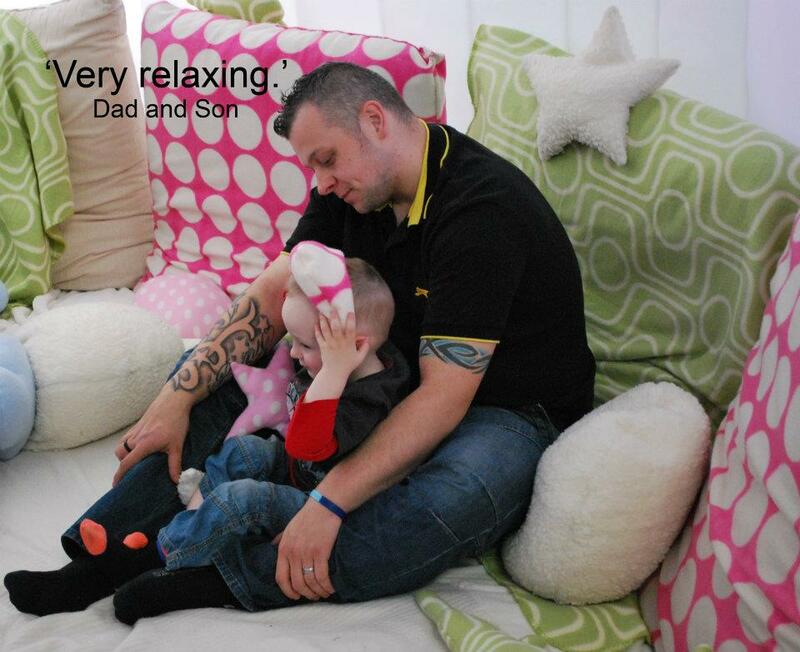 To us Babychill fulfils one of the main purposes of Dads Rock being in existence, that being the ability to give our kids and dads unique time to be together on a 1:1 basis and to strengthen the bond between the wee one and their Dad. 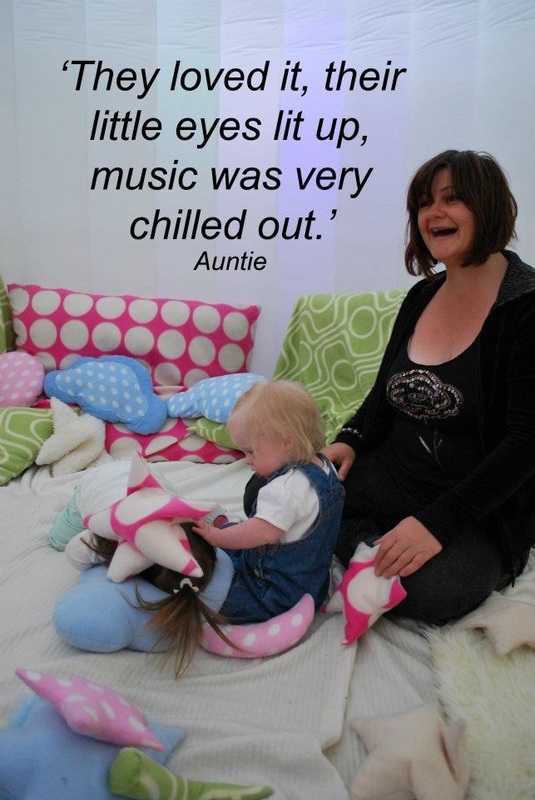 Children with Down's syndrome can become very frustrated and demanding due to various factors ie difficulty in communicating at an early age. This can also be frustrating and stressful to patents. 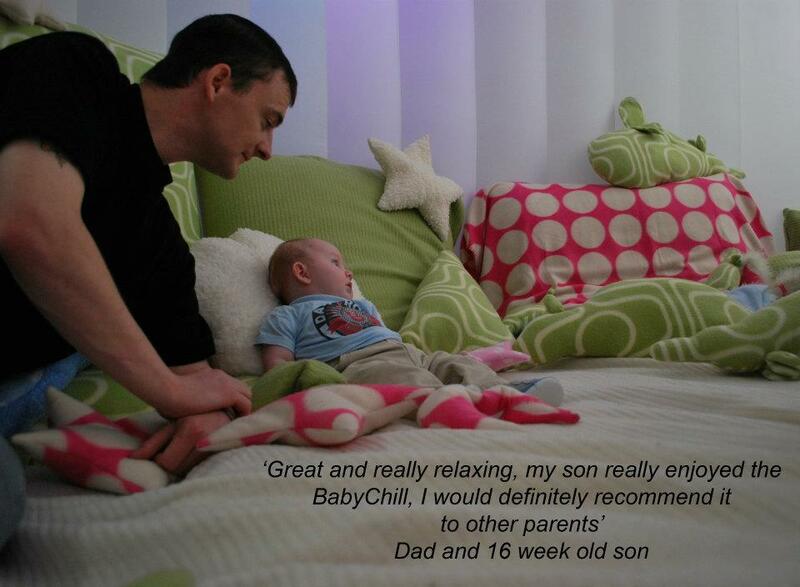 BabyChill allows both children and parents time to relax and teach both how to make time to do this in their daily lives as you can often forget the importance of just taking a few minutes each day.